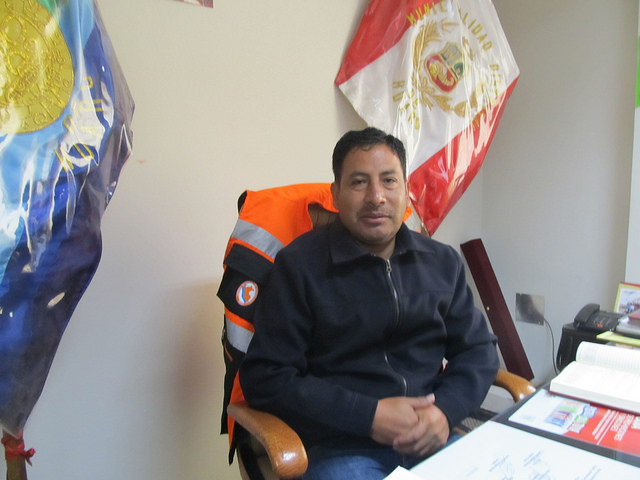 HUARO, Peru, Feb 22 2018 (IPS) - “The day will come when people do not have to go to the cities to overcome poverty,” says Elmer Pinares, mayor of an Andean highlands municipality in Cuzco, in southern Peru, where malnutrition and lack of support for subsistence farming are among the main problems. “If I were president of Peru, I would reactivate the Andes highlands by supporting small-scale agriculture and training women and men in the face of climate change, so that communities can take advantage of their resources and families can have a good quality of life,” the mayor of Huaro, a town of 4,500 inhabitants located at 3,100 meters above sea level, told IPS. 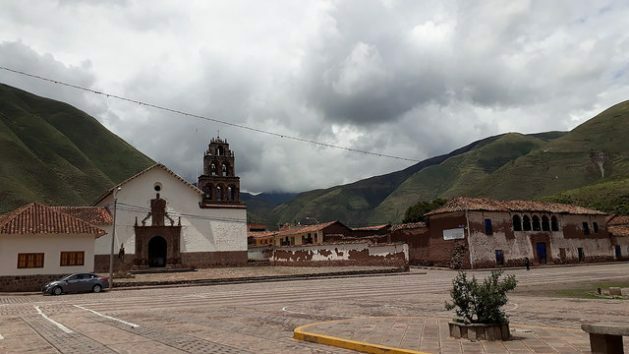 Huaro is one of the 12 districts (municipalities) of the province of Quispicanchi, in turn one of the 13 that make up Cuzco, a department with high rates of inequality and poverty, despite being Peru’s epicentre of tourism and source of high-protein foods, such as quinoa, tarwi (Lupinus mutabilis) and amaranth (Amaranthus caudatus). These problems translate into high rates of child malnutrition and anemia in the highlands areas, curtailing opportunities for the rural population from early childhood, said Pinares, who after finishing his three-year term in 2019 is determined to return to teaching at the local school. At total of 38,533 girls and boys under the age of three are malnourished in the Andean communities of Cuzco, where the population is predominantly native Quechua, he said. Peru, a country of 32 million people, has made progress in reducing child malnutrition in the last decade, but official figures show that in this region of 1.4 million people malnutrition remains high at 53.1 percent of children, almost 10 percentage points above the national average of 43.5 percent. “This is the reality in the highland communities of the Peruvian Andes, which the national government ignores,” said Pinares, who during his term has promoted the development of productive projects for the benefit of families, with the support of a small team of local technicians. And the situation in Huaro, IPS found during a tour of rural communities in the area, is repeated in other districts located over 3,000 meters above sea level, which forms part of the territory where rural poverty is concentrated in Peru. According to the latest data from the National Institute of Statistics and Information, from 2016, overall poverty in Peru stands at 20.7 percent of the population, but rural poverty climbs to 43.8 percent, and of that proportion, 13.2 percent live in extreme poverty. For this group of Peruvians, food security is still a distant goal, as acknowledged by another government study from 2017. It is in this context that the local authorities of the most neglected communities of Peru, who with limited resources try to boost development in their territories, feel like they have been left on their own by the central government. “In our administration, we aim to combat chronic child malnutrition and we have focused our efforts on guaranteeing food security for families in a situation of extreme poverty, then we will sell outside if there is a surplus,” Enrique Achahui, the municipal manager of the district of Andahuaylillas, told IPS. In his town, at almost 3,200 m above sea level, another new and urgent problem is the lack of water, because the streams in the Andes are shrinking due to climate change. “Here most families are engaged in small-scale agriculture, where they get their food, but without water there will be no food. Despite the serious nature of the situation, the central government has not put a priority on addressing this problem,” the official said. A little higher up, at 3,553 m above sea level, the municipal authorities of the district of Quiquijana, also in the province of Quispicanchi, are committed to promoting economic development with productive projects carried out by peasant families. “In highlands communities, child malnutrition exceeds 50 percent and may increase because crops are lost due to climate change. We are developing capacities for planting crops and harvesting water, creating organic bio-gardens and raising guinea pigs for food,” municipal official Efraín Lupo told IPS. His colleague, Rosmary Challco, added that unexpected frost and hailstorms are destroying crops. “Families lose money, work, and food, and this is a very serious problem for highlands communities. Unfortunately there are no initiatives from the central government to initiate change,” she said with dismay. She also called attention to the need to promote public policies focused on Andean territories to reinforce local intervention and raise public awareness about changes in social patterns to improve the lives of communities. “We need to eradicate the machismo that prevents girls and women in communities in highlands areas from getting an education and from living lives free of (gender) violence, so that they can have a profession, develop and provide for their families,” she explained. For Janed Nina, education was the door that opened up opportunities for her to realise her dreams. 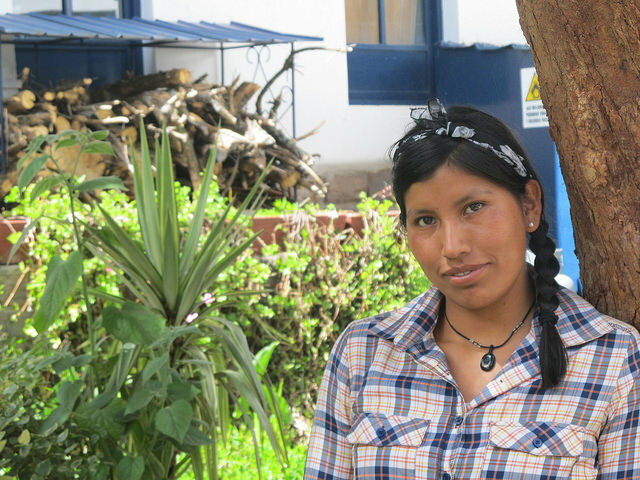 She had the support of her family to pursue university studies after finishing high school, and today, as an agronomist, she contributes to the growth of the family farm located in the community of Saclla in the district of Calca. “We plant more than 40 kinds of vegetables, which enrich our diet. We sell the surplus to have an income that helps us develop the farm,” she told IPS. She, along with her two brothers who are also agricultural engineers, is dedicated to working on the family farm and sharing their achievements. “Here we offer training in agroecology to women farmers, as well as internships for people interested in learning,” she said. For Nina, the weakness of small-scale agriculture has to do with the lack of vision of the central government, which does not include it as a strategic area of production, and with the fact that instead of promoting productive training in the communities, it limits itself to providing social assistance. “We need to work and take advantage of our resources,” she said. In the district of Cusipata, at 3,100 m altitude, with a population of 4,700, the main concern of the authorities is to create conditions for the population to improve their food security and thus reduce the rates of anemia and malnutrition among local children. “We seek to work with organised groups of women. Associations of flower growers, artisans and guinea pig breeders have been formed. But we need to maintain the technical assistance in order to make their projects sustainable,” said Vladimir Boza, economic development manager of the municipality. From distant Lima, he told IPS, the government has little understanding of the reality in the highlands areas, hence the weak and ineffective policies. “For example, they talk about helping farmers specialise in producing agroexport crops, and this is not possible in high altitude areas because monoculture is not feasible with climate change,” he said. “On the contrary, what needs to be promoted is diversification,” he said, based on his experience.